Title Dynatone's Ad on Music Trades. 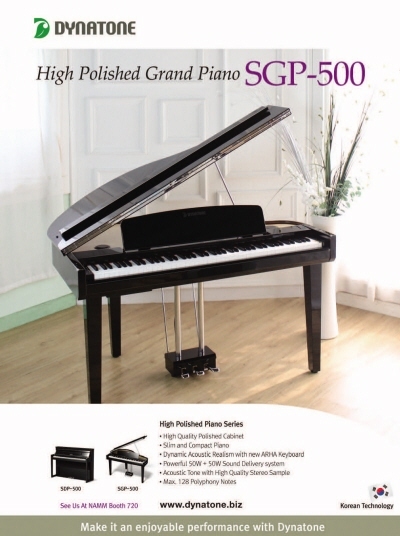 The Music Trades included the polished digital piano SGP-500 in its advertising on December 2013 issue. The Music Trades is the most informative magazine in music industry founded in 1890. It is published 12 times a year targeting for retailers, distributors, and manufactures of musical instruments, worldwide. Next Dynatone will attend 2014 NAMM show in Anaheim.